FutureCAE offers a variety of professional training courses on various Programming Software’s, Scripting languages, Software Project Management, Automobile domains, and Careers Courses in CAE/CAD domains. FutureCAE Courses are prepared by industry experts which are good for skill enhancement, to advance in their career and add a great value to one’s CV. FutureCAE has redefined the way of learning for Internet Generation. All you need is a browser and an internet connection to access the courseware. The uniqueness of this learning is access the courses from anywhere in the world, track your course progress, arise your queries, etc. 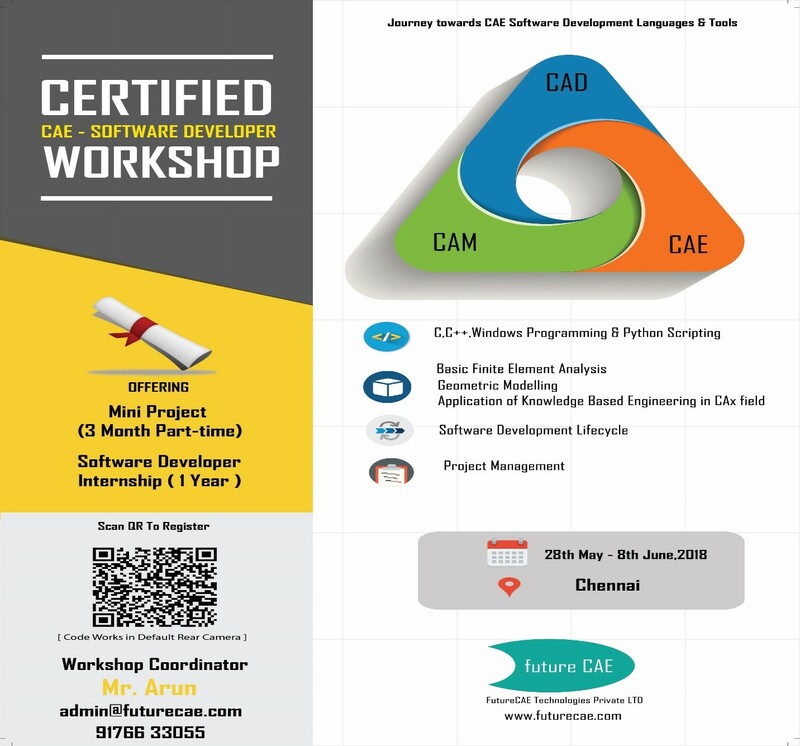 Software Workshop on Journey towards CAE Software Development Languages & Tools – 28th May – 8th June, 2018. Chennai.